I don’t recommend many books, mostly because at the moment I’m trying to get my head around statistical analysis - these books rarely feature the apocalypse. However, I can recommend The Plague Wars by David Van Dyke. I got an email alert this morning that the first three novels are out in a boxset priced £0.99. One of my own books is in a boxset organised by David, but I first came across this series long before, during one of my perennial hunts for audiobooks. 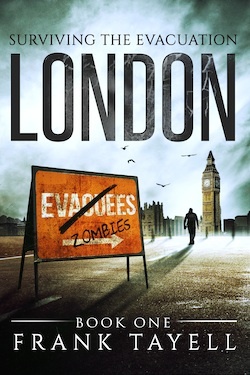 I downloaded The Eden Plague on the strength of the title, and really enjoyed it. 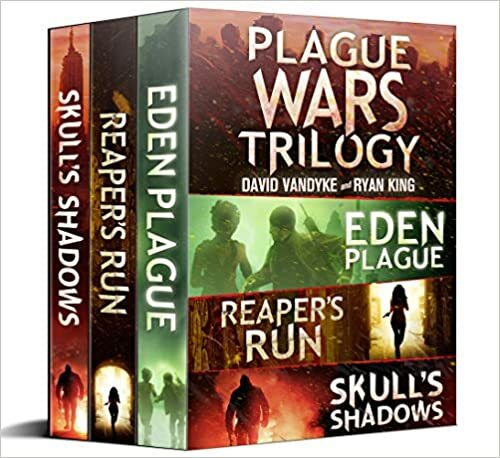 Trilogy Synopsis: When the Eden Plague is loosed upon the world, the forces of order and chaos, good and evil must battle it out in a struggle for control and supremacy. A PTSD-damaged combat medic, a female Marine with no legs and a sniper with no remorse might be its only hope of survival. 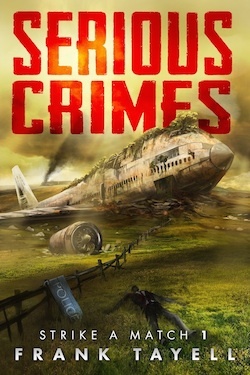 Can these flawed heroes drive back those who would enslave humanity? Or will the darkness spread and swallow them up? Book 1 Synopsis: When veteran combat lifesaver Daniel Markis finds a mystery woman with armed invaders in his home and it all goes sideways, he turns to his brothers in arms to fight back. On the run from the shadowy Company, soon he finds himself in a war for possession of a genetic engineering puzzle that threatens the stability of the world. But who is behind it all - and are they even human? So, if you're looking for a book to read this weekend, this is one to check out. Amazon's prepared for the zombocalypse, are you?